Shelley Lund’s research interests are in the areas of augmentative and alternative communication (AAC) and child language development and disorders. There are more than three million individuals in the U.S. who are unable to communicate using speech and can benefit from using AAC systems. Lund’s research addresses how to improve outcomes for individuals who use AAC. Lund is engaged in a multi-site study investigating the clinical decision-making of speech-language pathologists (SLPs) during AAC assessment. Prescribing the appropriate AAC system for a client is a multi-faceted and complex task. Many SLPs who are asked to conduct such assessments, may have had limited training/preparation in this area. This line of research is examining how SLPs with varying levels of expertise approach the assessment process. The information gained from these studies will lead to improved assessment processes and the development of training and educational materials to better prepare SLPs to work with clients whose communication can be enhanced through AAC. Lund, S. K., Quach, W., Weissling, K., McKelvey, M., & Dietz, A. (2017, January (1st Quarter/Winter)). Assessment With Children Who Need Augmentative and Alternative Communication (AAC): Clinical Decisions of AAC Specialists. Language Speech and Hearing Services in Schools, 48(1), 56. Lund, S. K. (2016, September). Longitudinal observations of aided language development. Binger, C., Ball, L., Dietz, A., Kent-Walsh, J., Lasker, J., Lund, S. K., McKelvey, M., & Quach, W. (2012). Personnel roles in the AAC assessment process. Augmentative and Alternative Communication, 28(4), 278-288. Pizur-Barnekow, K. A., Rhyner, P. M., & Lund, S. K. (2010). The pipeline training program in maternal and child health: Interdisciplinary preparation of undergraduate students from underrepresented groups. Maternal and Child Health Journal, 14(3), 422-429. Lund, S. K., & Troha, J. (2008). Teaching young people who are blind and have autism to make requests using a variation on the Picture Exchange Communication System with tactile symbols: A preliminary investigation. Journal of Autism and Developmental Disabilities, 38, 719-730. Lund, S. K., & Light, J. C. (2007). Long-term outcomes for individuals who use augmentative and alternative communication: Part II – Expressive communication. Augmentative and Alternative Communication, 23, 1-15. Lund, S. K., & Light, J. C. (2007). Long-term outcomes for individuals who use augmentative and alternative communication: Part III – Contextual factors. Augmentative and Alternative Communication, 23, 349-361. Lund, S. K., & Light, J. (2006). Long-term outcomes for individuals who use augmentative and alternative communication: Part I – What is a “good” outcome? Augmentative and Alternative Communication, 22, 289-299. Lund, S. K., & Light, J. C. (2003). The effectiveness of grammar instruction for individuals who use augmentative and alternative communication: A preliminary study. Journal of Speech, Language, Hearing Research, 46, 1110-1123. Lund, S. K., & Light, J. C. (2001). Fifteen years later: Long-term outcomes for individuals who use augmentative and alternative communication. University Park, PA: The Pennsylvania State University. Title: Optimal Augmentative and Alternative Communication Technology for Individuals with Severe Communication Disabilities: Development of a Comprehensive Assessment Protocol. University of Wisconsin-Milwaukee Center for 21st Century Studies – Transdisciplinary Challenge. Title: 21st Century Voices: Synthesized Speech in the Third Millennium. Dean’s Research Award (2014, May) College of Health Sciences, University of Wisconsin-Milwaukee. Research Fellow (2011) Graduate School, University of Wisconsin-Milwaukee. 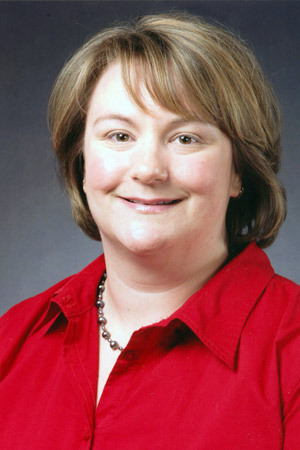 Clinical Research Scholar (2007) Medical College of Wisconsin. Editor’s Award for Most Significant Student Research Article (2007) Augmentative and Alternative Communication. Children’s pictorial representations of early emerging concepts: Implications for AAC (2000, March) The Pennsylvania State University 2000 Graduate Research Exhibition.